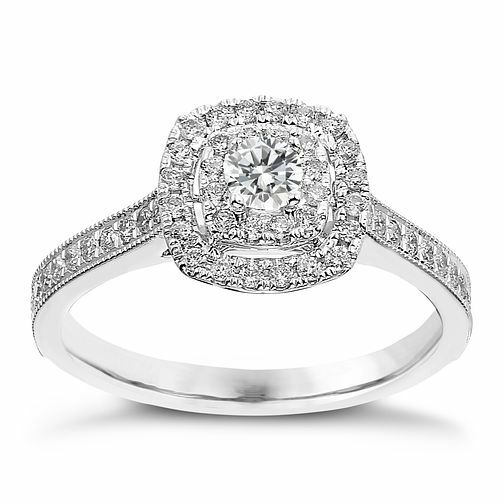 9ct white gold 1/2ct diamond double halo ring is rated 4.6 out of 5 by 10. Rated 5 out of 5 by Anonymous from Stunning I haven’t saw a ring so stunning in my life. I cant stop staring at it, its so sparkly. Rated 1 out of 5 by Anonymous from Very poor... The ring arrived dirty as if it was second hand, the diamonds lacked lustre and the metal is fading. This isn't something I would buy again.